Hi, everyone! I just returned a week's holiday in Tokyo. After having lived in Tokyo for 4 years up until last August, returning to it after a space of 9 months felt like coming home again. Everything was so reassuringly familiar and it was great fun re-visiting all my old haunts. 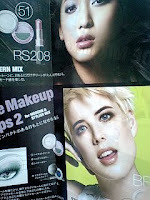 And of course, what's the point of holidaying in Tokyo without picking up some of their awesome makeup brands? :-) Here's some pics of my entire haul. That lovely pair of vanity cases are from Jill Stuart for their card members who had spent more than 70,000yen in the year up to March '08. I wasn't expecting to be able to receive this but a lovely SA at the JS counter in Seibu department store in Yurakucho took a look at my file (they keep a record of all the purchases that you've made) and told me that I could get the case right there and then! That's what I love about the customer service in Japan, they're always so thoughtful and thorough. The case itself is an absolute beauty with a delicate lace mesh covering the pink exterior of the case. The motif on the side of the case is almost identical to the motif on the side of the JS beauty counters. Inside, there is a mirror under the lid and an elastic band running around the sides of the case to help hold stuff in place. I also picked up the Jill Stuart Seductive Eyes #2 Sugar Angel, #3 Twinkle Venus, #4 Sensual Fairy and #5 Gemmy Diva, as well as the Mix Compact Blush #6 Fresh Apricot. According to the Japanese beauty mags, Seductive Eyes #1 Seductive Doll is the top seller but I liked it the least out of all the pink-themed JS quads and didn't see much point in getting it given how similar #3, #4 and #5 are to one another as it is. I also picked up a refill of the new Smooth Silk Powder Foundation #101 Linen. From Lunasol, I got the Sheer Contrast Eyes #2 Lavender Coral. I read that of the Sheer Contrast Eyes series, the beige-themed #1 Coral Coral is the most popular while #4 Green Coral also became an unexpected bestseller after it was featured on a Japanese television programme. But I didn't like the lime shade in #4 Green Coral so I decided to skip it as well. Sweets Sweets is a low-end drugstore brand, similar to Canmake and manufactured by Cezanne. I got their Perfect Eyes PE9 and PE11. These quads cost only 672yen each and are a great deal as you get a generously sized quad with some really lovely shimmery shades. There are 12 quads currently available. 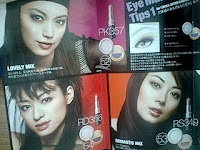 I also got their Eye Clear Up eyeshadow primer, which costs only 609 yen and comes in a small yellow squeeze tube. I haven't tested it out yet but will post a review later. From Gransenbon, I picked up their Gran Blushes #1 Lady Rose, #4 Orange Brown, #9 Apricot Ginger, #11 Sugar Marmalade and the newest addition to the line-up, #12 Peach Rose. From K-Palette, I got all three of their new Shiny Star Eyes palettes, #1 Rose Star, #2 Safari Star and #3Ash Star. 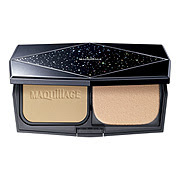 The texture of these quads is excellent, wonderfully silky and pigmented. 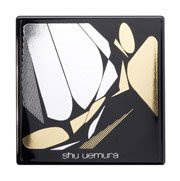 For only 1680yen, which is the about the same price as Lavshuca and Majolica Majorca palettes, these are quite worthwhile as you get a quad that you can create a complete eye look with. From Kiss, I got their Pure Bloom Cheeks in #1 Bougainvillea and #4 Rose, Eye Prism Gradation #5 Aquarium and the new Fairy Veil Pact #1 Pearl Beige. From Bourjois, I got the Mini Bourjois Dose de Nacres #5, #9 and #10. 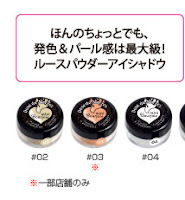 These are little pots of loose eyeshadow pigment powders that cost only 630yen. There are a few interesting shades in the line-up aside from the usual light pastels. Check out the Mini Bourjois line-up available in Japan here. Other items that I hauled: Awake Aqua Trans Collection Stardom coffret, Visee Lash Glamourshape BK001 mascara, Love Clover Marshmallow Fit Base UV N (Non Color), Opera MyLash mascara, Lavshuca Eye Color Select PU2 and Grade Color Select PU1, Kate Gel Eyeliner GD1 and SV1 and Burberry The Beat EDP. I'll post reviews in the upcoming days as I try them out! Here are some of my non-makeup purchases: Rebecca Taylor handbag and wallets; handkerchieves from Rebecca Taylor and Burberry. The handkerchieves were from 315yen to 1050yen each. I didn't buy that many clothes this time round, just a couple of tops from Cynthia Rowley. The August issue of Spring magazine, which just went on sale in Japan comes with a gorgeous pink Paul & Joe fold-out fan with a Bambi print, as a sort of preview to the launch of Paul & Joe's secondary line, Paul & Joe Sister, in Japan in August. Inspired their sell-out limited edition Disney collection earlier this year, the fan is quite good quality considering that the magazine costs only 500 yen. It even comes with a plastic charm that can be attached to the base so that it dangles ever so prettily. If you can find the magazine at your local bookstore, run to grab it 'cos this is one issue that won't stay on the shelves for long! 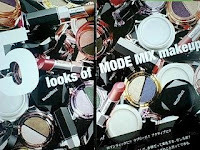 Pic of the limited edition Maquillage A/W '08 foundation case designed by Christian Kane that will be released on 21 Aug.
Pics of the pamphlet for Maquillage's Autumn '08 collection, "Mode Mix Maquillage! ", from 2Channel. The collection is due out on 21 July. The limited edition set will retail for 18,900yen starting 21 August in Japan. 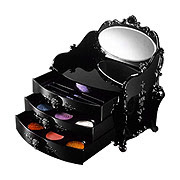 It's super-pricey but looks like a must-have for any Anna Sui fan! 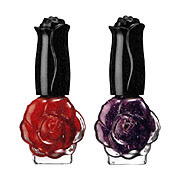 Anna Sui will also launch its revamped nailpolish and tools collection on the same day. Shiseido The Makeup will be launching its fall collection on 1 August in Japan. Looks like a pink-themed collection! More pics of the Majolica Majorca's new Lash Gorgeous Wing mascara, Majolook (Trick On) palette and Rouge Majex lipgloss from its fall collection due out on 21 July in Japan. Here's a sneak peek of one of the two new Ombre Couleur palettes (6300yen) from Cle de Peau's fall collection, due out on 21 July in Japan.